1. 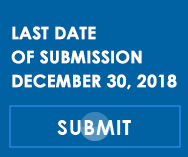 Contest closes on December 30, 2018. 4. Participants can submit a maximum of three photographs clicked by themselves. 5. Photographs should be digital (for example: JPEG format) and capable of being transferred to a computer. Akshaya Patra will not be responsible for any compatibility issues that may arise. 6. The file size must not exceed 4 MB, with a minimum resolution of 800 pixels. 7. Akshaya Patra shall not be liable for any error in uploading the photographs for the contest. 8. Any direct or indirect expenses incurred by the participant while participating in the contest shall be borne solely by the participant and Akshaya Patra shall not be responsible for the same. 9. All the photographs will be judged on the basis of content, composition, sensitivity, creativity and style. 10. Both colour as well as black-and-white photographs will be accepted in the contest. 11. Objects should not be added to or removed from the frame in order to enhance the shot. 12. Participants will not be allowed to see other competing entries. 13. The photograph must not be manipulated. 14. Multiple exposures, composite images, sandwich shots and photographs which consist in any way of more than one separate image or which have been manipulated, are not eligible. 15. Photographs submitted must be entirely original and taken by the participant. 16. Akshaya Patra reserves the unconditional right to use the photographs for non-commercial electronic and print communication material. 17. The prize is not exchangeable for any product or item. It is non-transferable and cannot be encashed under any circumstances. 18. The photographs submitted by the participant shall neither be in violation of any third-party Intellectual Property Right or any other law, nor shall they be defamatory/obscene/vulgar, detrimental to national interest, prejudicial to the interest of The Akshaya Patra Foundation or society in general. Akshaya Patra reserves the right to reject such entries. 19. The Akshaya Patra Foundation reserves the right to, at any time, disqualify participants who register photographs that are not in accordance with the terms and conditions of the contest or who tamper with the entry process. 20. The competition is not open to Akshaya Patra employees and their family members. 21. The contest shall be void, if prohibited by law. 22. Entry to the contest is Free - There is no fee charged from the participants.